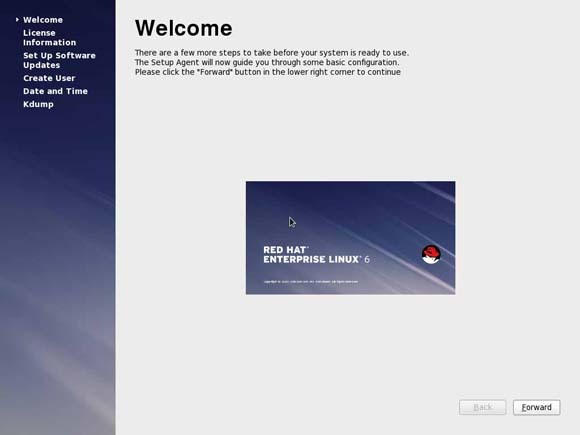 In my last post I explain the steps for installation of Redhat Enterprise Linux 6. In this post I will explain the Post installation Steps, which are required to complete your installation. Since this is an important objective for RHCSA, understanding all the installation steps is a must. Step 1. After rebooting welcome screen appears, click forward button for the next step. Step 2. 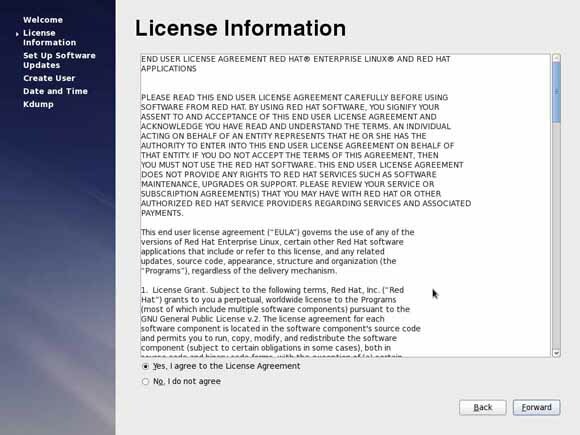 In License Information screen click on "yes, I agree to License Agreement" and click forward. Step 3. 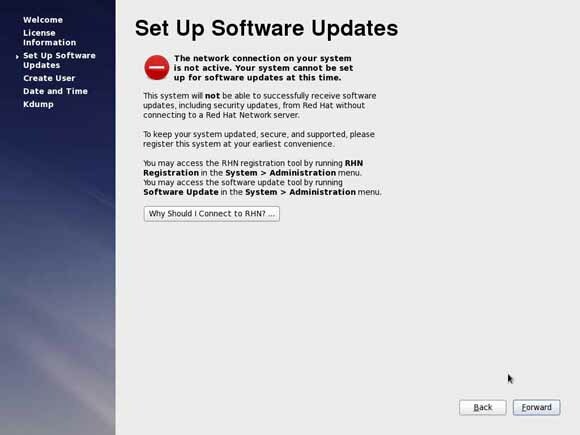 Then do the software update process. But to do that you should have a subscription from Red Hat Network(RHN). And click forward to continue. Step 4. Next screen allows you to create a regular USER. 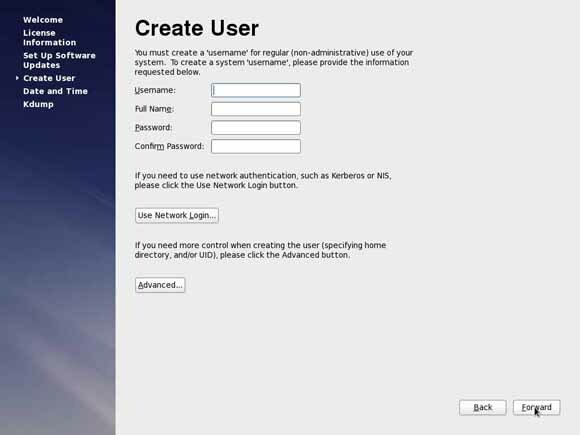 Provide username, full name and password and click forward to continue. Step 5. 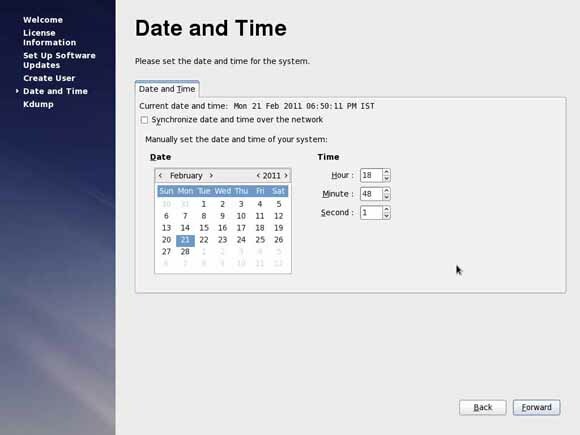 In the Date and Time setup wizard enter the date and time and click forward to continue. Step 6. In the next screen you can setup a KDump environment. It is up to you to setup a KDump environment. 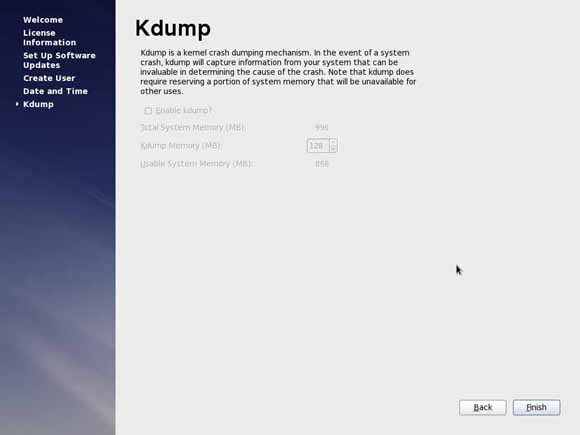 KDump is a Kernel Crash Dumping Mechanism it will prevent you from kernel crash. It is recommended to setup a KDump environment. After setting-up the KDump environment you are now ready to login to the RHEL 6 server..
You can also subscribe for the latest posts so you don't miss any information or news. I think you want to run the GUI (Gnome) Desktop, but you are entering the runlevel 3. 1. You have not installed any graphical desktop at the time of installation. 2. Your default runlevel is 3.